At a time when political parties are coming up with more youth-friendly campaigns to promote their electoral agendas online, the Janata Dal (Secular) has chosen to keep their campaign target specific and simple. 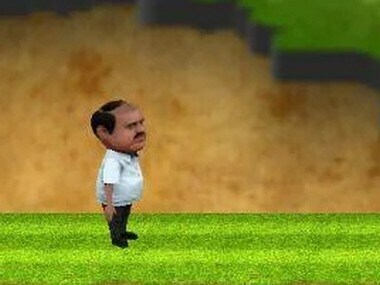 One of the electoral tools they plan to reach out to supporters is an Android-based game, with the primary character being a caricature of HD Kumaraswamy. In 'Kumaranna for CM', an app designed by a group of JD(S) supporters and launched on 24 March, players control a character resembling the former Karnataka chief minister. The user needs to make him jump over a fist or a flower to gain points. The player is then required to hoist the JD(S) flag on green slabs that represent districts in the state to finish the level. 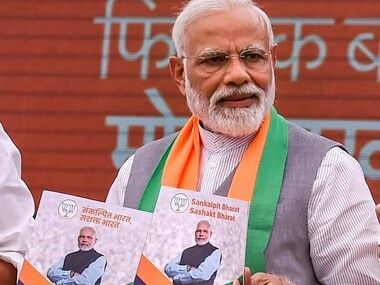 The application is made in similar lines with the 'Modi Run' game, launched in 2013, where players control a caricature of Prime Minister Narendra Modi, helping him jump over obstacles to win in different states. In 'Kumaranna for CM', players are informed about the JD(S)' achievements in Karnataka. "After each level, the game reveals the party’s manifesto and educates players about the JD(S)’s contribution to Karnataka,” said Kiran Shivalingegowda who created the game. But Chandan Dhore, a core committee member of the JD(S)' IT cell, said that the main purpose of the application is to reach out to youngsters and inform them about live events and the party’s achievements. 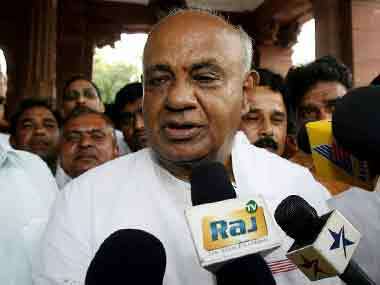 "We are providing notifications on when anna (Kumaraswamy) will go live and our supporters can hear him speak. That was the main purpose of the app,” he said. "Because the youth will download and use the app, we can easily contact them through notifications and track them as well," he added. However, he clarified that all concerns over data security and privacy have been addressed. "The interface is very simple. I think it is directed towards the younger generation, to help them learn about the party manifesto. It helped me know more about the various districts in Karnataka. But the game is too simple to be played on a regular basis," said 30-year-old Caitanaya Okade, who downloaded the game after hearing about it from a friend. Dhore said that the JD(S) is using social media and other online platforms only to promote the party’s manifesto. "We are promoting the party’s manifesto through hashtags. We are not generating any material that would be deemed false. There is a team constantly monitoring social media for false news,” he added. Though the JD(S)' IT cell had created the promotional video of the game, Shivalingegowda said that he and his team had volunteered as well-wishers of the party to create this game. Despite its simple controls and limited interface, the game has received a good response with over 5,000 downloads. Kiran, who is based in Detroit, said he and his family have been ardent JD(S) supporters. “After getting the idea, I took Kumaraswamy’s consent and developed the game. We had between December and March to launch the game,” he added. “The idea was conceived very late. As we had very little time to develop the application, we kept it simple,” said Lokesh Anjanappa, who helped Kiran in developing the game. JD(S) plans to update the game and make it a convenient tool to reach out to supporters. Anjanappa informed that two suggestions made by the JD(S)' IT cell were added to the application. “A trailer for the game was suggested and made by the JD(S) team. They also suggested that we build a notification server for users downloading the game so they may be alerted about the party’s events,” he added. Acknowledging that the JD(S) has a comparatively weak presence on Twitter, Ghore said the app is one of the party’s many online campaigning tools to reach out to voters. He explained that the party will be campaigning for the Assembly polls by sending notifications to people who have downloaded the game. Dhore also informed that the JD(S) is focusing primarily on Facebook and WhatsApp to reach out to voters. “We are a little bit weak on Twitter, but on Facebook, we are stronger than both parties (Congress and BJP). On Twitter, we conducted a survey and saw that our audience was less,” he said, adding that the party plans to reach 70 lakh people through WhatsApp in the last two weeks before elections. 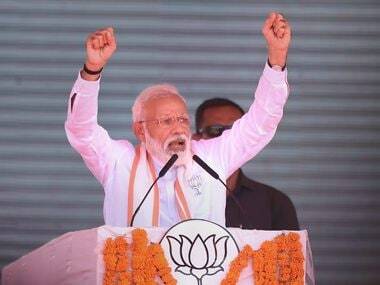 "We are already sending five lakh booth level WhatsApp messages across Karnataka. We are planning to send about 60-70 lakh messages to reach out to voters," Dhore informed. "We had conducted the WhatsApp with Kumaranna campaign and connected with around 5 lakh phone numbers of people who registered,” he added. The JD(S)’ message include information about events the JD(S) chief will be addressing and the party’s achievements in that specific area. “We sent the messages based on where Kumaranna is going after taking his approval. If he is in Mysore, then we will send notifications to phone numbers registered from Mysore. 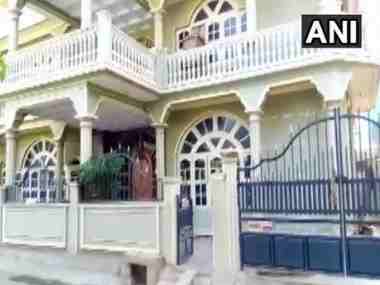 It will tell them about the event and the achievements of JD(S) in Mysore,” said Dhore. But while the game has appealed JD(S) supporters and is serving as a tool for election campaigning, the game’s simple interface, controls and objectives limit its ability to lure in non-political users. “The idea was conceived by Kiran, who is my childhood friend, around December. We used all free tools to develop this application. If we would have got more time than we could have made it more interesting,” said Anjanappa. “This is a seasonal game. We are taking in feedback. If there is a positive response then we can start thinking about releasing a newer version,” he added. “It was a short term project. We had to complete it in three months so we wanted to make it very simple. We selected random districts in which JD(S) has not won and aims to raise its flag. The game is very basic up to four levels, after that the game gets a little bit challenging and enemies come into the picture. Once Kumaranna crosses all the stages he will get the chief minister tag and the game will end with the party’s manifesto,” said Kiran. “We spent around $4,000 to create and launch the game,” he said adding that he took help from Unity, with whom he has worked, to launch the game.